Days ago, the concrete-producing equipment developed and manufactured by XCMG was put into use in the New Capital CBD project in Egypt. The customized unit adopts many leading technologies in the industry, including the precision measurement technologies, intelligent reliable control technologies and advanced mixing technology from Schwing of Germany. The production facility of New Capital CBD project in Egypt covers more than 31,000 square meters. It uses various machines including concrete mixing station, breakers, temperature-control equipment and transport machinery. Besides, it is also equipped with sieving equipment for stones and gravels. The New Capital CBD project in Egypt is built by CSCEC. The signing ceremony was attended by the Chinese President Mr. Xi Jinping and Egyptian President Abdel Fattah al Sisi. Representing the friendship between the two peoples, it is the largest single project contracted by the Chinese company in Egypt. 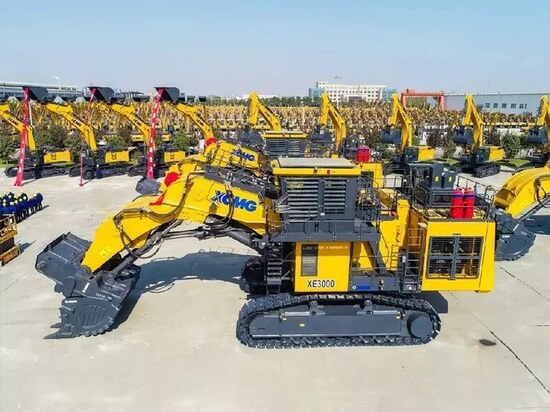 On April 27 this year, the ceremony of shipping the first batch equipment for the project was held in XCMG production facility of concrete machinery. In the process of project building, the XCMG project team has overcome the hot climate in desert. In just one month, it finalized all the construction work in very high standard and quality. 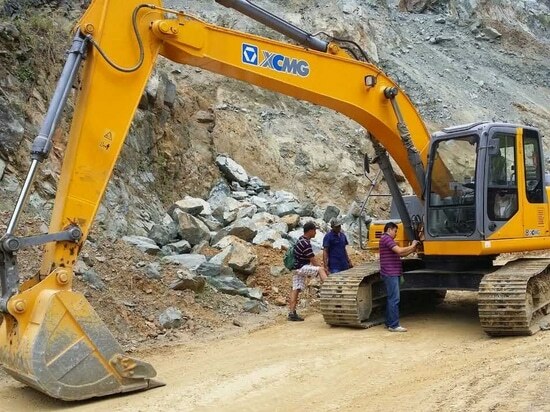 Behind the brilliant achievements is the never-ending hard work of XCMG people. 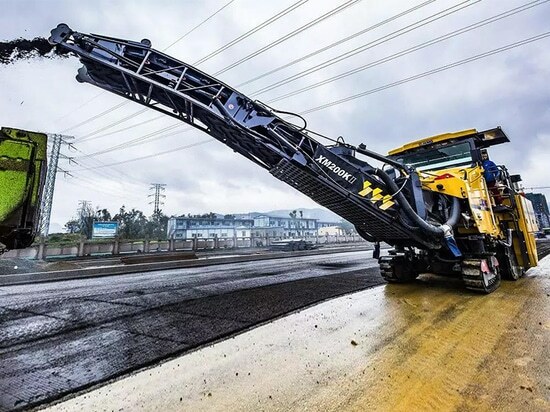 As its products and service standards keep upgrading, XCMG concrete equipment has realized complete customization in process, logistics, environment and information development, so as to meet diverse needs of clients. Besides, XCMG mixing station has launched seven environment-protection systems, thus winning client recognition and trust with more efficient production, more intelligent control, more precise measurement, more even mixing and more environmental operations. Days ago, the concrete-producing equipment developed and manufactured by XCMG was put into use in the New Capital CBD project in Egypt. The customized unit adopts many leading technologies in the industry, including the precision measurement technologies, intelligent reliable control technologies and advanced mixing technology from Schwing of Germany. The production facility of New Capital CBD project in Egypt covers more than 31,000 square meters. It uses various machines including concrete mixing station, breakers, temperature-control equipment and transport machinery. 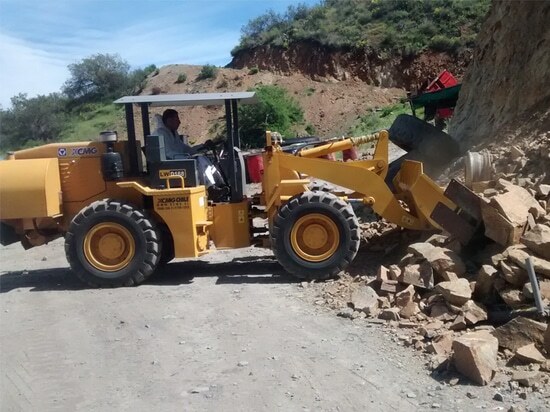 Besides, it is also equipped with sieving equipment for stones and gravels. The New Capital CBD project in Egypt is built by CSCEC. The signing ceremony was attended by the Chinese President Mr. Xi Jinping and Egyptian President Abdel Fattah al Sisi. Representing the friendship between the two peoples, it is the largest single project contracted by the Chinese company in Egypt. On April 27 this year, the ceremony of shipping the first batch equipment for the project was held in XCMG production facility of concrete machinery. In the process of project building, the XCMG project team has overcome the hot climate in desert. In just one month, it finalized all the construction work in very high standard and quality. Behind the brilliant achievements is the never-ending hard work of XCMG people. As its products and service standards keep upgrading, XCMG concrete equipment has realized complete customization in process, logistics, environment and information development, so as to meet diverse needs of clients. 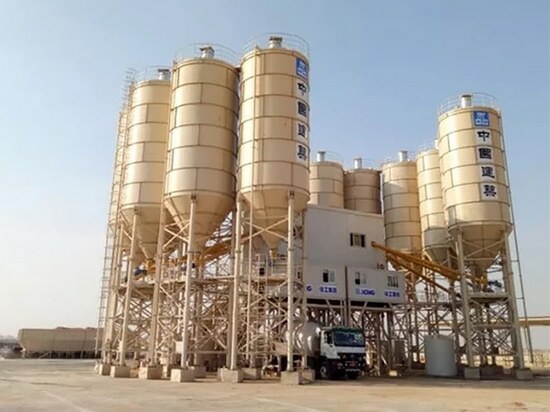 Besides, XCMG mixing station has launched seven environment-protection systems, thus winning client recognition and trust with more efficient production, more intelligent control, more precise measurement, more even mixing and more environmental operations.